Though typically fishing and romantic vacations do not usually go hand in hand, couples looking for a romantic fishing vacation can find several in Mexico. From the Pacific Ocean to the Sea of Cortez to the Gulf of Mexico to inland lakes and rivers, Mexico is home to several bodies of water ideal for many different types of fishing. 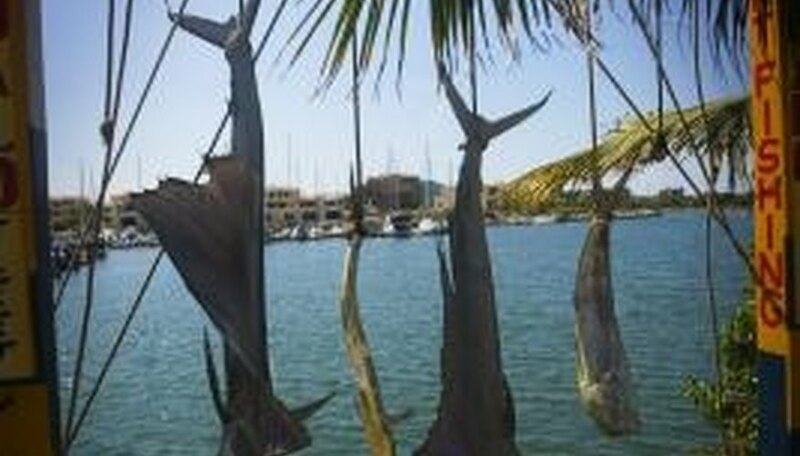 All over Mexico, vacationers can enjoy a romantic fishing vacation. Many tourists visit Mexico for the deep-sea sport fishing. Guests at the Capella Ixtapa Resort in Ixtapa, Mexico, cannot only enjoy world-class deep-sea fishing but can also experience a luxury romantic vacation, according to the Capella website. An experienced crew takes guests out on a deep-sea fishing adventure to catch big game like marlin, sailfish, dorado and tuna on board a yacht, small or medium boat, or panga. Back at the resort, the culinary staff will prepare and serve whatever fish guests catch. The resort itself sits on a secluded sea cliff, and guests can enjoy romantic amenities like a full-service spa, ocean-front suite accommodations and 24-hour room service. Other activities include water sports, swimming with dolphins and hiking. Known around the world for high-quality sport fishing, Mazatlan is also home to the Pueblo Bonita Emerald Bay resort. As the Pueblo Bonita website states, the resort partners with Anglers Inn Fishing Club to provide guests with a deep-sea or fresh-water fishing experience. Guests can fish for large-mouth bass in Mexico's Lake El Salto, or catch roosterfish, grouper, snapper, marlin and sailfish in Emerald Bay. The all-suite resort includes junior and master suites with balconies or patios, six restaurants and bars, spa, beauty salon, fitness center and daily activities. Other resort activities include water sports, shopping excursions and eco tours. Another popular destination for fishing in Mexico, The Tides Zihuatanejo combines fishing with romance in a Mexican vacation. Choose from half-day in-shore trips or full-day deep-water excursions where guests can catch everything from sailfish to marlin to tuna, according to The Tides website. The Tides resort concierges arrange fishing charters for resort guests, provide transportation to and from the marinas, and the resort chefs will even prepare any of the fish guests catch. With only 70 guestrooms and suites, The Tides creates an intimate and romantic atmosphere for vacationers. Resort amenities and activities include a private beach, gardens all throughout the grounds, ocean and jungle views, spa, fitness center and water and land sports. Thompson, Lindsey. "Romantic Fishing Vacations in Mexico." Dating Tips - Match.com, https://datingtips.match.com/romantic-fishing-vacations-mexico-7384514.html. Accessed 20 April 2019.